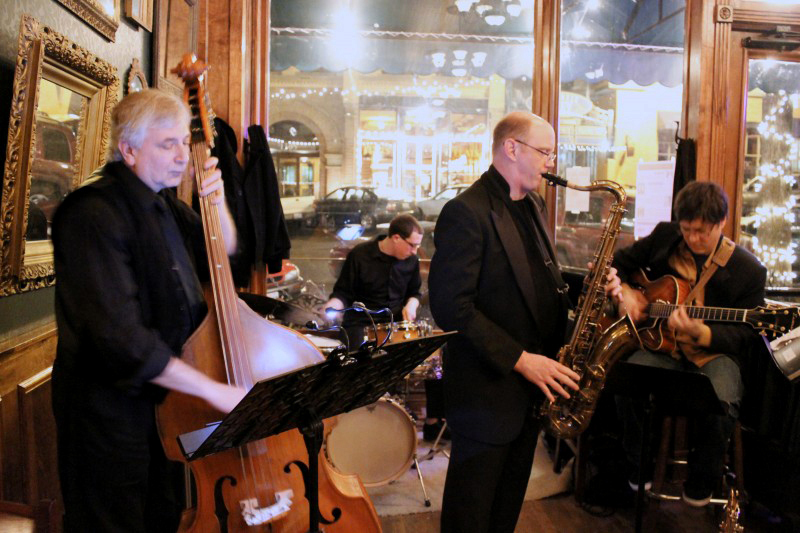 Classic jazz quartet of the highest caliber. Spencer Redmond leads on the saxophone, Robert ‘Goldtooth’ Ray on bass, Tom Miller on guitar and Stephanie Straight on drums and percussion. The Spencetet plays a variety of jazz styles including swing, blues, Latin and funk standards and originals, instrumentals and vocal tunes, great for listening or dancing.